How can we understand the educational disengagement of urban, working-class young people? What role do schools and education policies play in these young people’s difficult relationships with education? How might schools help to support and engage urban youth? This book critically engages with contemporary notions of 'at risk' youth. 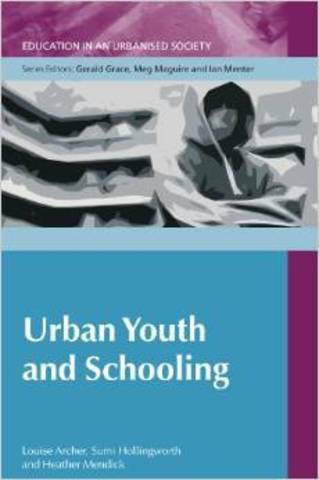 It explores the complexity of urban young people's relationships with education and schooling and discusses strategies for addressing these issues. Drawing on a two year study of urban 14-16 year olds, educational professionals and parents, the book focuses in depth on the views and experiences of ethnically diverse young Londoners who had been identified by their schools as 'at risk of dropping out of education' and as 'unlikely to progress into post-16 education'. It provides an informative and accessible overview of the key issues, debates and theoretical frameworks. It is important reading for school leaders, teachers and learning support assistants as well as trainee teachers and educational researchers.